As most of you may already know, Tailwind tribes went public on the 1st of November 2017. I tested the new features they have implemented and I must say they are great! 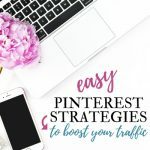 Let me tell you, I loved Tailwind tribes already when they were in their “alpha stage”, they are an amazing tool to share your content for others to re-pin, and a great place to find great content for you to re-pin. 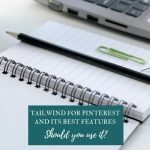 But you know, I love Tailwind in general and if you didn’t know that, you can read Tailwind for Pinterest and its best features: should you use it? 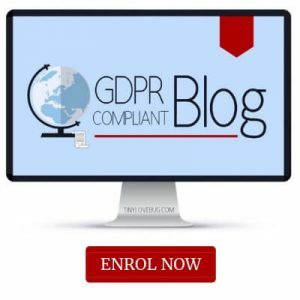 If you aren’t using Tailwind yet you can have a free trial. 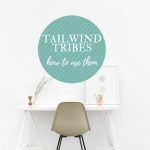 If you want to know more about how tribes work, I highly recommend reading Tailwind tribes: how to use them to boost your blog traffic as in this post, I will only highlight the new features and go through what will happen to you if you were already a Tailwind member before tribes went public on the 1st of November 2017. 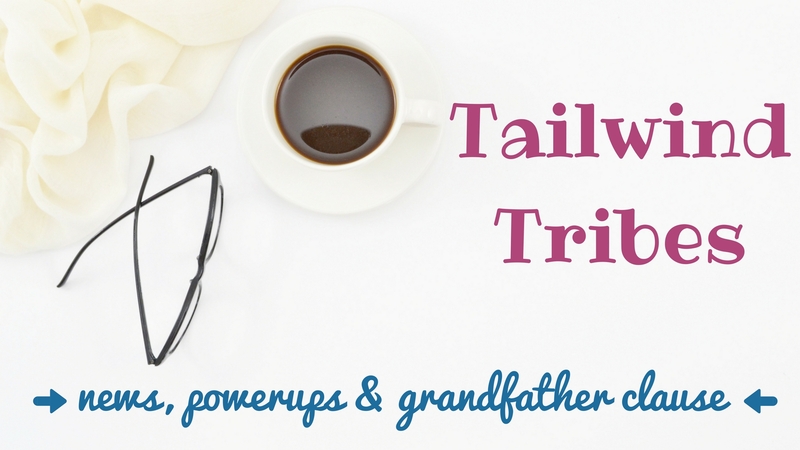 Because, in case you don’t know, Tailwind has reserved some special gifts for us through a grandfather clause. Tailwind has finally heard our prayers and implemented a searching tool for tribes. 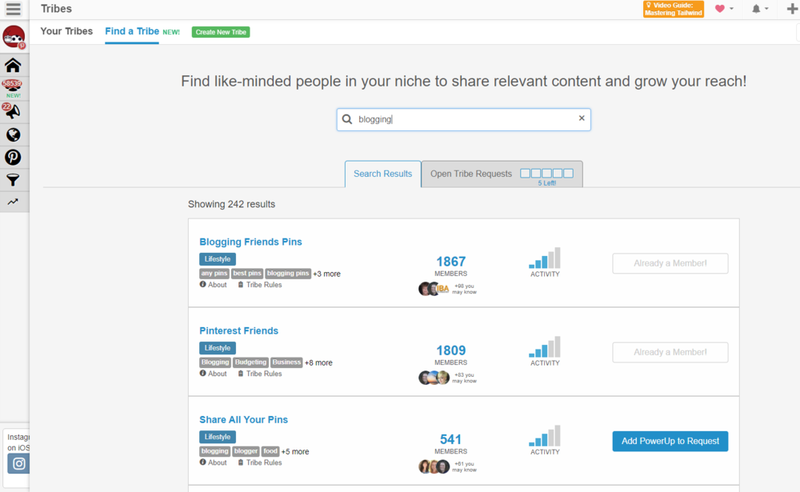 And you can then look for a tribe by keywords, topic or name. And it also lets you know if you are already a member of that tribe. Tribes can be open or on request. 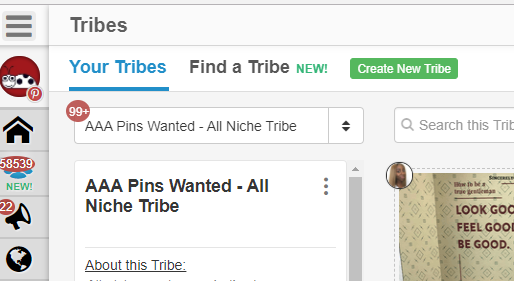 While in the former case you can simply join the tribe by clicking on “Join tribe”, if a tribe is on request you will be invited to submit a few of words and then if the owner of the tribe thinks you are a good match, they will accept your request. In my opinion, this new feature has made joining tribes a lot easier than before. If you would like to contribute to some of our tribes, join our Facebook group and you will find the invites in a pinned post. This is another great feature, especially if you are a member of some “all topics” tribes. 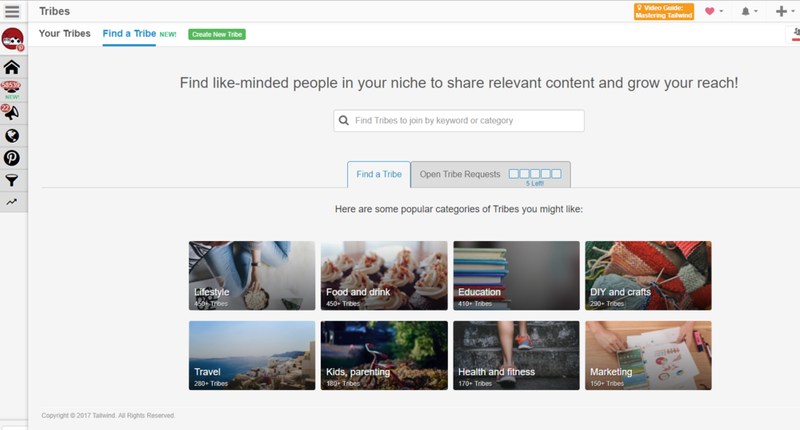 In fact, if you are looking for something specific you can use the search tool inside the tribe. You can also still use Tailwind screening features you were using in the past. I’ve also noticed that tribes are much faster now. Yes, they are. 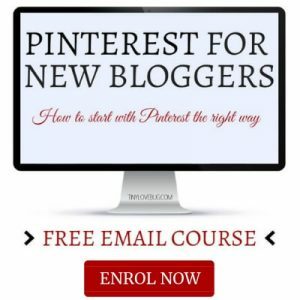 Tailwind kept a free plan that lets you join 5 tribes and submit 30 pins a month. 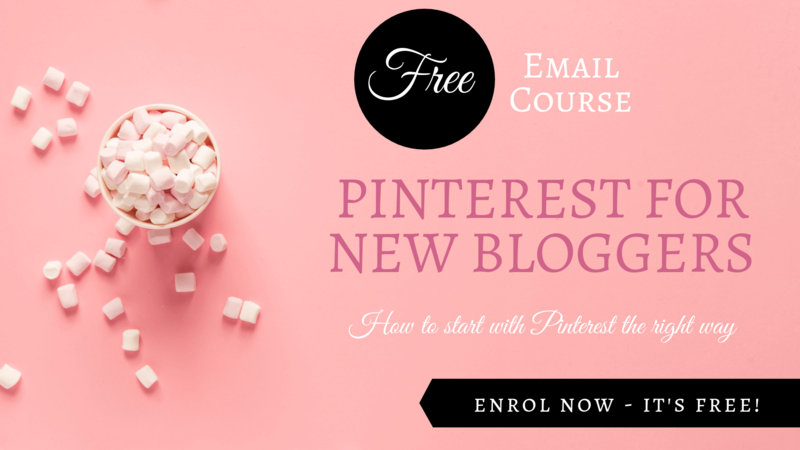 You can sign up here to get started. But it has also thought about “power-pinners” and created some PowerUps. So, does this mean that if before tribes went public you were in more than 5 tribes you need to leave all the other tribes? No! Tailwind has grandfathered old users! 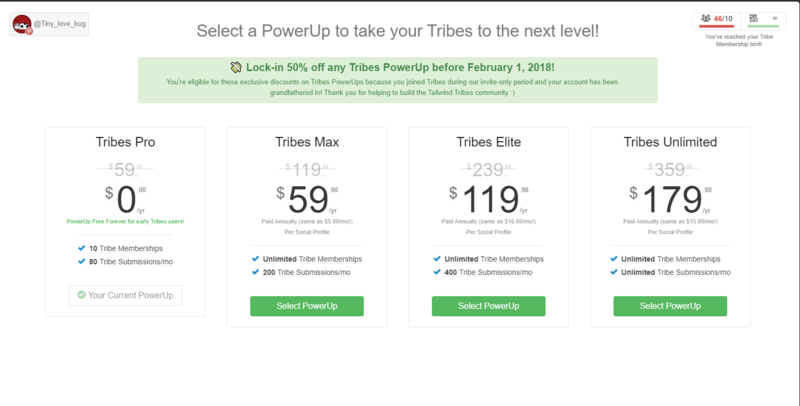 So, if you were already a member of some tribes when they were in their “alpha stage”, as a thank you for helping make Tailwind tribes what they’re today, you’re getting a free Pro PowerUp added to your account… FOREVER. This PowerUp grants you access to up to 10 tribes and the ability to submit up to 80 posts per month to your tribes. But the best news is that if you were in more than 10 tribes you can still keep them ALL! And you also have unlimited submissions until the 31st January 2018. Wait, it’s that not enough? Good, because there is more! OK, what if you are in more than 10 tribes but you realise that there are others that might be a better fit for you? Can you replace some of your existing tribes with those? No, you can’t. But Tailwind gives you a no-questions-asked refund on PowerUps until the 31st January 2018. This will let you test the PowerUps risk-free for the first three months following launch. If you ultimately decide you don’t need it, no worries, just cancel it and Tailwind will refund you. If you are ready to subscribe to Tailwind you can sign-up for a free trial here. Should you have any other questions about the new Tailwind tribes please leave them in the comment below. The most in-depth guide there is! 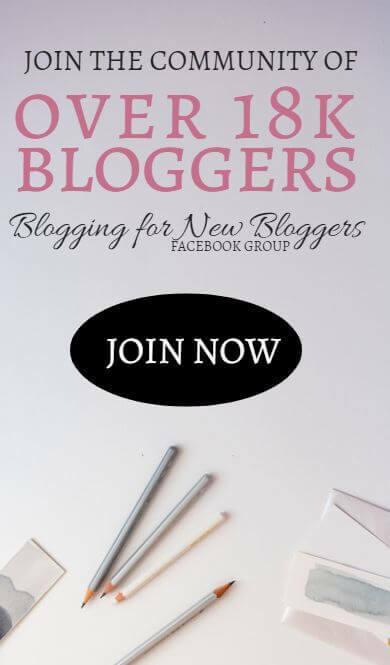 Super helpful and great to have screenshots- makes it very easy to follow! Thank you!! How I wish I’d read this before last month. At least I still am in 10 tribes but can’t afford to upgrade as yet. I’m just learning how to use tailwind this month. I need to take a closer look at tailwinds! Thanks for the info and motivation! I was sent this and was totally clueless as to what to do with it. Thanks for clarifying as always your articles are so in-depth. 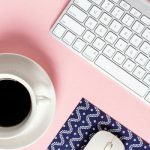 They always help me to navigate my social media/blogging challenges. I started using Tailwind recently, and this gives me more inspiration to get upgrade and unlock more power of the Tribes. Thanks. This is some great information. I love using Tailwind to schedule my pins. Thanks for the great info. 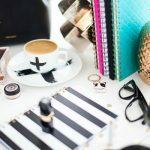 I’m a newborn blogger and my site is 1 month old. I currently have a measly average of 5 new users visiting my site daily. 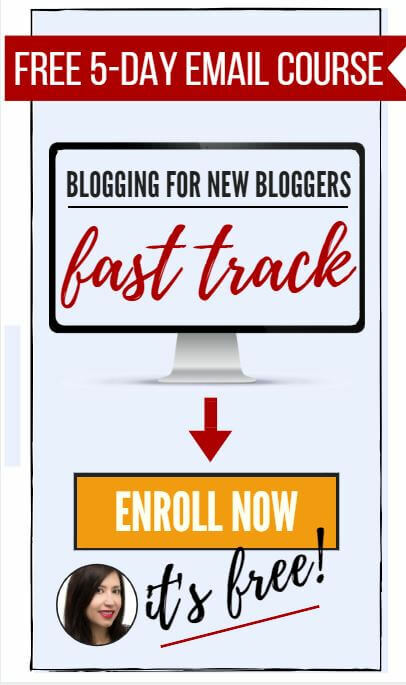 Do you think I would benefit from joining Tailwind Tribes so early or should I wait until my traffic increases? My advice is to start using Tribes as soon as you can! 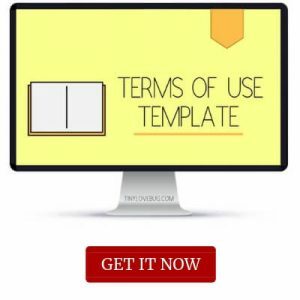 They are one of the best tools to increase your traffic, don’t miss out! Tailwind is my next nut to crack in the puzzle! I am collecting into a crazy big overall guide.